2015 has been a noteworthy year for the Balearic Island of Mallorca (Spain), since it was officially considered, the best place to live in the world by the publication The Times. It certainly has enviable weather, an exquisite quality of life and many cultural and leisure activities that make it a preferred tourist destination for people from around the world. But is it good enough to want to live there year-round? 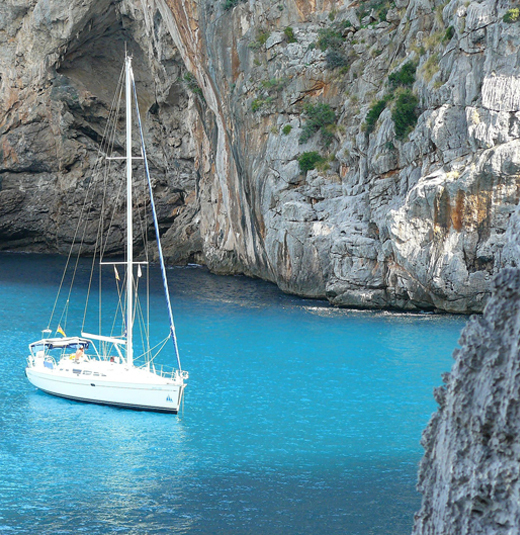 We’ll take a look at the five main reasons why Mallorca is the best place to live in the world. Based on the analysis completed by The Times for considering Mallorca the best place to live in the world, the first thing to take into consideration is the climate. The average temperature on the island is 65ºF; with an average low of 46ºF and on very few occasions it drops below 41ºF. Or in other words, it has a mild climate all year, with highs in the summer that don’t exceed 86ºF except on hot Mediterranean days. This allows for very agreeable visits at any time of year, without the dreaded cold winters of other coastal areas, or the suffocating, hot summers of some of the other most famous tourist destinations. Another one of the most important characteristics according to The Times is its international connectedness. It is important to take transportation into consideration when looking for a new place to live, and the Palma de Mallorca Airport connects the island with a large number of countries year-round. This means that both receiving visitors as well as traveling to other destinations is cheaper and easier than in other places in the world; something to take into consideration, most of all on an island where mobility is a vital factor. The diverse social atmosphere is another aspect of Mallorca that stands out. Almost half a million people live on the island and the expat community, far from being mere visitors, has established itself. With stores and businesses of their own they have grown both the economy and the cosmopolitan diversity of the island. We should also value the island’s historic center which is just as impressive as those in other Spanish and Mediterranean cities. Its history has been perfectly conserved since the 13th century. Although they display more recent history, it is also recommendable to see fishing areas with architecture that is typical of Mallorca, and exclusive to this area of the world. Finally, Mallorca stands out for its cultural character. Because people from so many different places visit the island, the multicultural influence there is like no other in the world. This fact has made Mallorca an international place of interest for art without precedent. Museums, art exhibitions, theater, concerts… There are cultural activities to highlight on Mallorca almost every day of the year, making the island an irresistible place of interest for art lovers in general.